In 1921, when Miami was preparing for the soon to arrive flood of land speculators, the area that was to become Biscayne Park was unincorporated, undeveloped and for the most part, fields of tomatoes belonging to Arthur Mertlow Griffing. Mr. Griffing was originally from Norwich, New York and had settled in Florida in1903 to manage the Little River nursery. He built a large home and established Griffing Tropical Nurseries and Groves in and around a seven acre site that today is the Colonial Shopping Center along Dixie Highway and 125th Street in North Miami. Mr. Griffing was a landscaper for Carl Fisher's Miami Beach projects. By 1917, the horticulturalist changed hats to become a developer. By the 1920's, Mr. Griffing had acquired and begun developing land along Dixie Highway north of Miami. 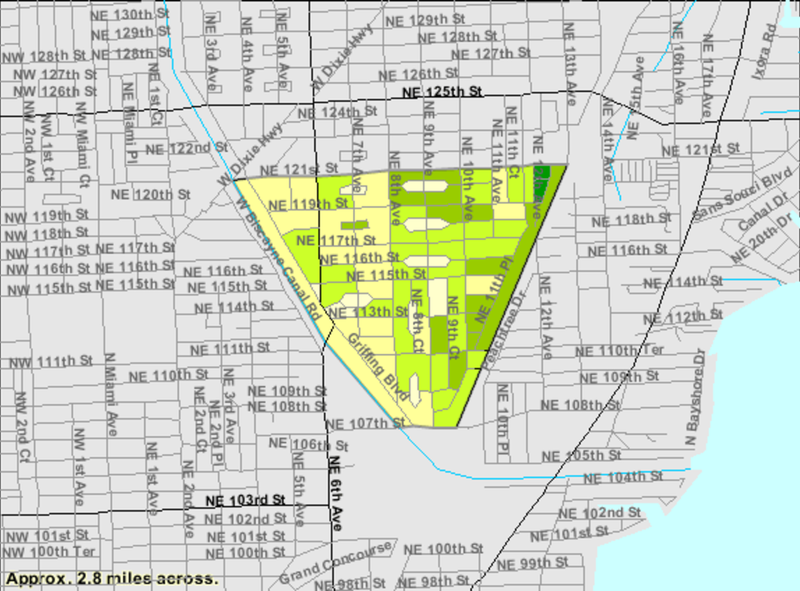 The nursery was sold and the land subdivided and named Griffing Biscayne Park Estates. Mr. Griffing continued his love of landscaping by carefully planting the area with shrubs and trees so that Biscayne Park Estates resembled a huge botanical garden.